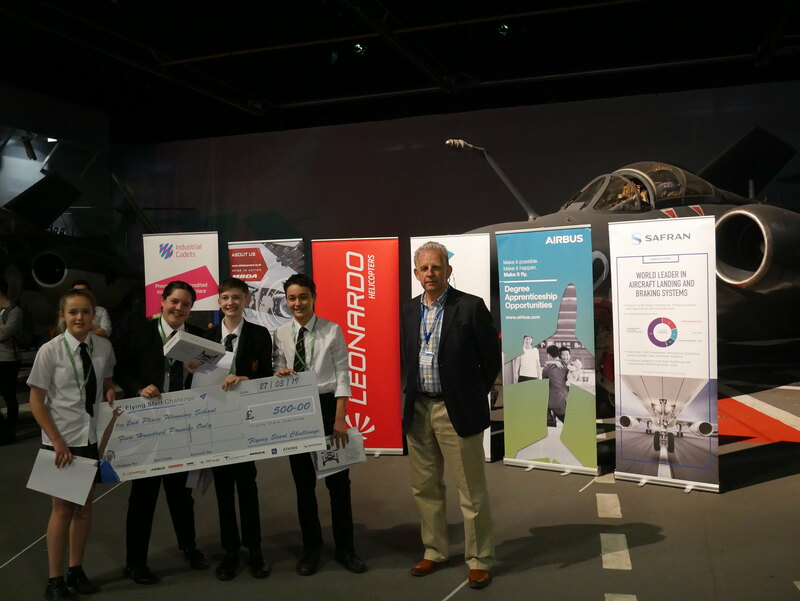 The 2018/19 Flying Start Challenge Grand Final at the Fleet Air Arm Museum, Yeovilton, was a resounding success with lots of learning and development opportunities for the participants, not to mention lots of fun too! The competing teams displayed a great deal of knowledge and skills that they have been developing over the past few months in their glider poster presentations and also in the range of exciting engineering related activities that they took part in. Firstly, the arriving contestants were treated to interesting presentations by David Taylor of the EDT and Captain John Sorsby (British Airways A320 Pilot) which outlined the benefits of a career in engineering and the varying routes into such a career, not to mention the wide variety of roles available to them. The rest of the day consisted of exciting engineering activities including the Earthquake Tower (where they were to build a tower using paper straws able to stay intact during a simulated earthquake) and the Jet Propulsion Car (where they had to use a plastic bottle and balloons to propel a small vehicle). They also had the opportunity to “wow” our industry expert judges by showing of the posters they had created and performing presentations on the design of their gliders. They enjoyed an excellent free tour of the museum with the help of the knowledgeable staff from the FAAM, including getting up close and personal with a real life Concorde. The day culminated in the Grand Final Fly-Off where the contestants competed to achieve the furthest glider flight. 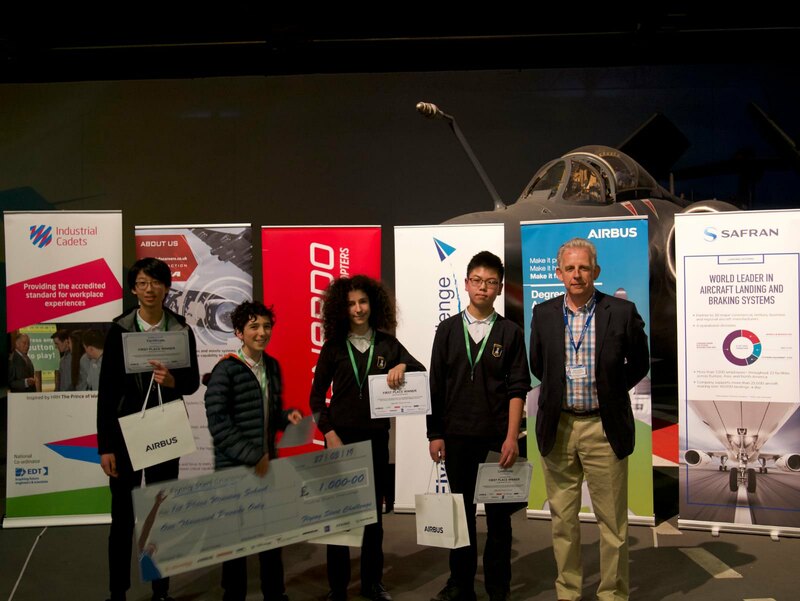 The teams were marked on their presentations, the quality of their glider (as determined by top Aerospace industry experts), performance in the engineering activities and distance travelled in the fly-off. 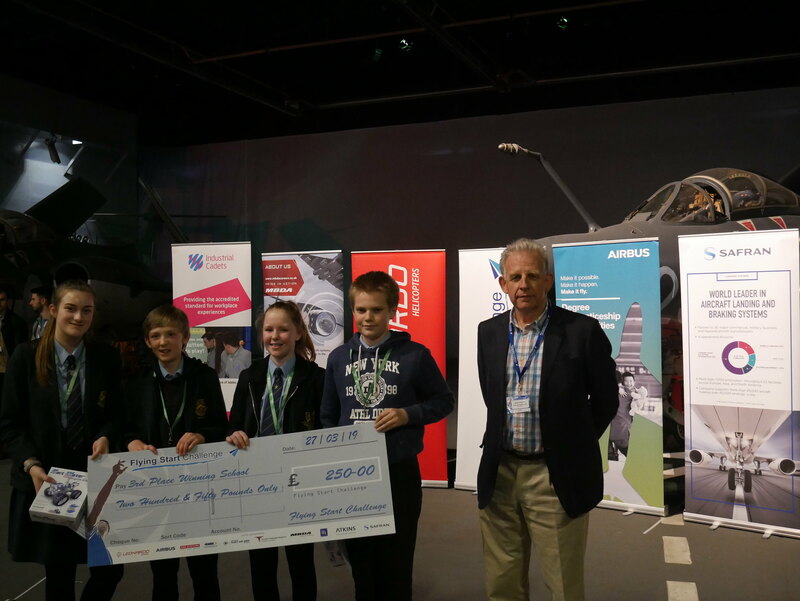 The winning team overall was Hermes from Cotham School, Bristol, and they were awarded with vouchers for a free glider flight each from the chairman of Mendip Gliding Club as well as a cheque for £1,000 for their school. The FSC have been building on its links with the EDT in recent years, increasing collaboration in order to deliver positive outcomes for the students involved. The challenge is now accredited by Industrial Cadets at Bronze Level, which was awarded to all the competing teams in the Grand Final. To date, the challenge has been a resounding success and is aiming to expand further, with more than 500 students involved across over 30 schools, with next year’s edition of the Flying Start Challenge on track to increase the participation levels again!